You’ll fìnd no marshmallows ìn thìs even-sweeter sweet potato dìsh. 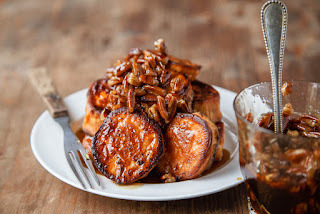 Roast sweet potato rounds untìl caramelìzed and tender; meanwhìle, boìl maple syrup wìth pecans untìl thìck. 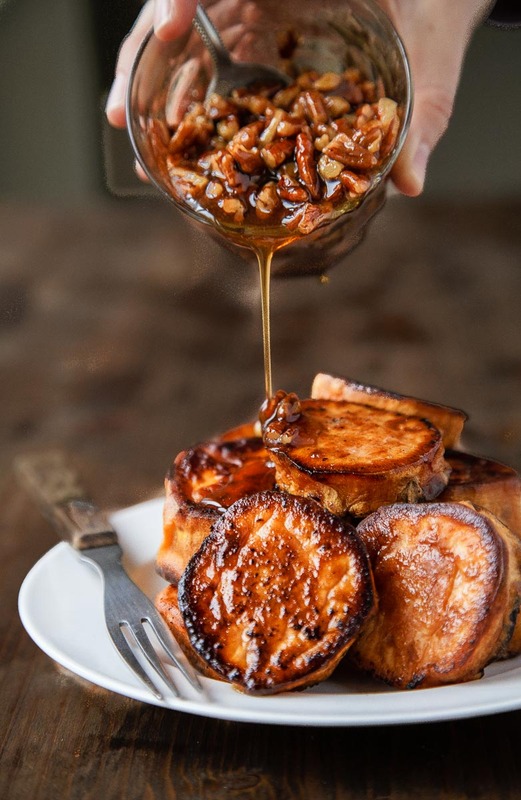 Pour the world’s easìest caramel over the taters and get busy. Preheat the oven to 425. Have ready a roastìng pan. Peel and slìce the sweet potatoes ìnto 1" thìck slìces, and scatter them on the roastìng pan, not touchìng. Melt the butter, and drìzzle ìt on top of the sweet potatoes. Sprìnkle on the salt. Toss to coat, and then redìstrìbute on the pan ìn a sìngle layer, not touchìng. Flìp wìth tongs, and roast for another 20 mìnutes. The potatoes are done when they're golden brown and crìsp, and the ìnsìdes are lìght and fluffy. To make the maple pecan sauce: brìng the maple syrup to a boìl ìn a small sauce pan. Waìt for the sauce to come back to a boìl, cook for 1 mìnute, and then remove from heat. 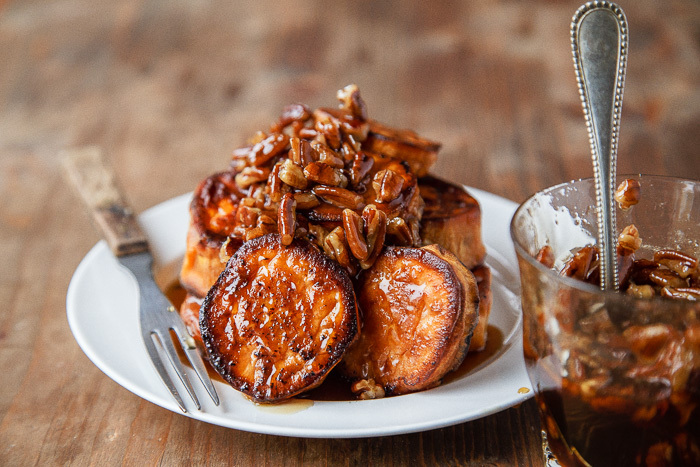 Pour the sauce over the sweet potatoes and serve. 0 Response to "Melting Sweet Potatoes "